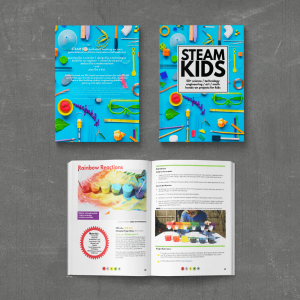 A fun new colourful idea for your kids Christmas cards. Bubble Wrap Christmas Trees with added sparkle. Do you like to receive home-made Christmas cards? We certainly do and we love to make them for our family and friends as well. 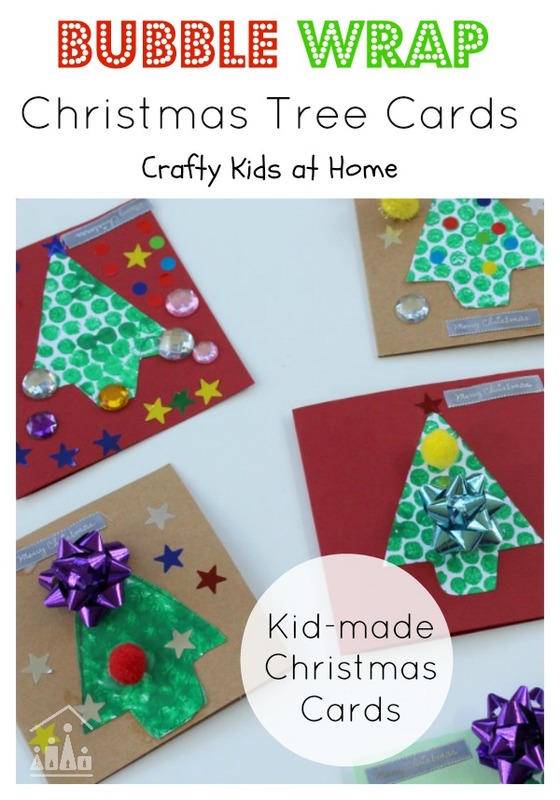 To help inspire your this year with your own cards we are taking part in the Kid Made Christmas Card series hosted by Mum in the Madhouse. I always keep our Christmas card designs simple and achievable for all of my kids to get involved in. Last year we enjoyed making Washi Tape Bauble Cards and Easy Christmas Tree Collage Cards. This year we have taken our favourite junk material, Bubble Wrap and have used it to create a fun Bubble Wrap Chrismtas Tree design. 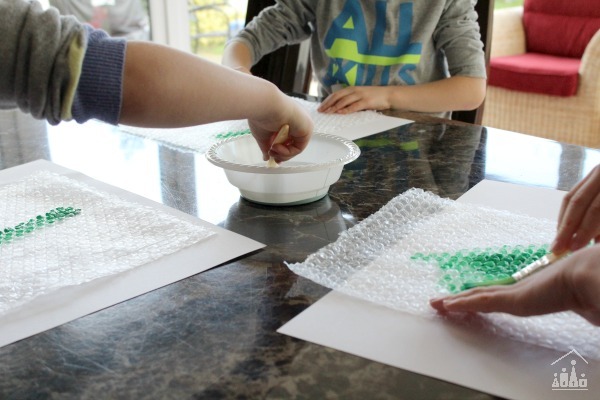 Paint over a sheet of bubble wrap with green paint and print onto a sheet of white paper. 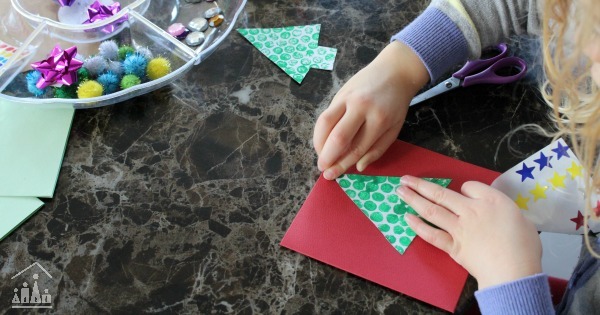 Leave to dry and then cut out Christmas Tree shapes to stick onto the front of your cards. Fold sheets of coloured card in half to make cards. 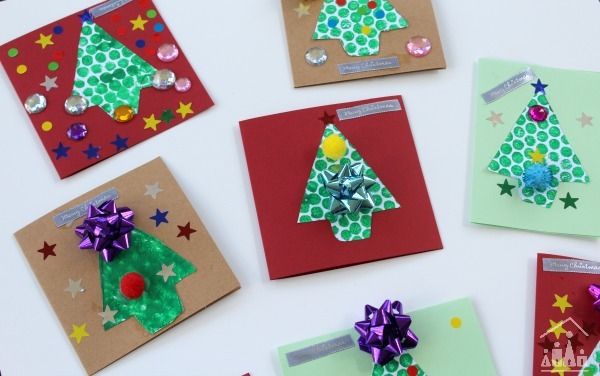 Glue your Christmas Tree onto the front of your cards and then decorate. Sitting down with all 3 of my kids to make these cards wasn’t without its challenges. But watching them pour their love and creativity into their cards more than made up for the squabbles over the last red gem. Now we just have to write them all! If you are looking for a quick and simple idea for a DIY gift tag then check out this post. This Simple Kid Made Santa Hat Card from Wonderful Chaos is another great idea to try this year. Wonderful idea! Bubble wrap makes such great texture for the tree!